You may have spent the past few weeks exploring other horizons, Aries, meeting new people, going out more frequently, or taking short trips. But there’s a significant change of rhythm in the air. You will settle down and bask in the comfort of your home. You will find that you have just the incentive you need to stabilize yourself for a while. Expect some pleasurable moments in the domestic realm. 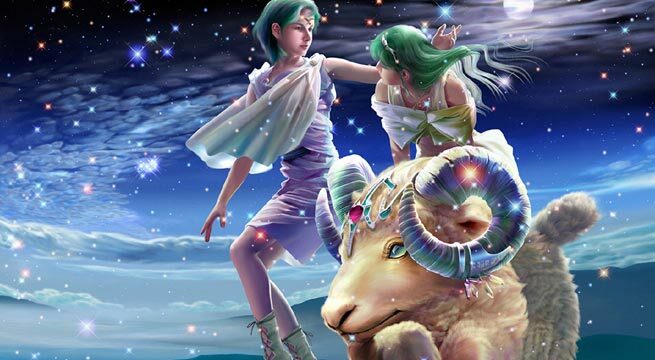 You’re likely to enjoy a change in the rhythm and quality of life, beginning right now, Taurus. Do you feel a need to take your friendships beyond superficiality? Perhaps you should reestablish contact with some past friends. After a hiatus, you may have some bonds to repair. You can expect another period devoted to sweeping the cobwebs out of your emotional life and letting in light and promise. Today you can expect to be more enterprising in your human relationships, Gemini. You may find new friends or enjoy quality time with old ones. It’s likely that your love life will intensify. The next few weeks provide excellent resources for improving your emotional well-being. Take advantage of it. The past month has allowed you to affirm yourself, Cancer, and cement some aspects of your personality. You’re now entering a period of consolidation. It’s like you conceived a product, created it, and are now finally ready to put it on the market. The current period indicates that you will receive all of the rewards that your hard work has earned. Today heralds the beginning of a very agreeable period. You will be especially happy, Leo! You will project confidence, clarity, and charisma wherever you go. You used up a lot of your reserves during the last few months. You’ve made it to this stage just in time. Certainly you’ll agree that this is something to be celebrated! Virgo, this would be a good moment to get rid of anything that still stands between you and achieving your goals. A certain obstacle might be sparking the impulse you have to blend into the background. Don’t forget that you’re an individual. This isn’t something to be overcome. It should be celebrated! The signs say that you can expect a very profitable few weeks ahead, Libra. You’ve worked hard lately, and it’s only natural that you have finally arrived at this stage. You’re going to be able to measure the distance you’ve come and evaluate your power. Whatever you do, don’t think small! The cosmos will ask you to make more of an effort, Scorpio. To do so means you will have to come back down to Earth and join the rest of us mere mortals. You may be cultivating your independence a bit too much. You seem to be pulling away from people. You should try to mix more and get involved in a cause that’s bigger than you. Accept working with others as a necessary component of your life. A quest is in store for you, Sagittarius. You’re likely to engage in a search for physical or intellectual space. You may be asking yourself philosophical questions. Or perhaps you’re thinking of taking a long trip. Which will it be? Will you read philosophy or go to China? At this point, only the stars know. In navigating your emotional life, Capricorn, you may feel you’ve made a great effort in the past month. You’ve been available and conciliatory, and done your best to maintain harmony. Your efforts have paid off. Now you feel a yen for more spontaneity. It seems that the enterprising and reckless you has returned! Go ahead – you deserve this release after all of your disciplined effort. Aquarius, the cosmic signs indicate that your emotional universe will once again glow with positive energy. You will meet more people, and your encounters are likely to be profoundly gratifying, emotionally and intellectually. All told, the coming month is wonderfully promising for you. Two key things to anticipate are pleasure and sensuality. For you, Pisces, the next few weeks portend a period of timidity. You will probably go out less, introduce yourself to fewer new people, and be less prone to showing off. But any relationships you do form will be much more intense than usual. The month ahead is quite promising, though you may have to readjust some of your attitudes.